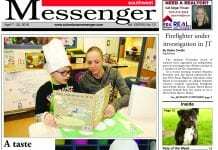 Voters in the Groveport Madison school district will decide on a combined operating levy and bond issue on May 7. 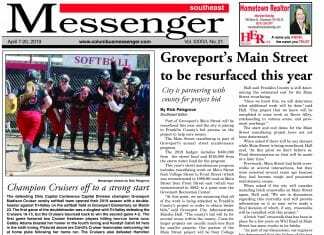 The Southeast Messenger recently interviewed Groveport Madison officials about the upcoming levy and bond issue. The proposed 6.10 mill permanent continuing operating levy, if approved by the voters, would replace the current five year 6.68 mill levy that will expire on Dec. 31, 2019. The proposed levy is combined into one ballot issue with a proposed 37-year, 4.72 mill, $83.6 million bond issue that would generate funds to build three new pre-K through sixth grade elementary schools and one new middle school for grades seven and eight. The pre-K through sixth grade buildings would hold about 1,067 students each and the middle school would hold about 1,000 students. Students in the pre-K through sixth grade buildings would be separated into age appropriate areas. The bond issue would also provide funds to demolish the existing elementary schools and middle schools. If the plan is approved by voters, it would reduce the number of schools in the district from 10 to five. If voters approve the bond issue to build the schools, the Ohio Facilities Construction Commission (OFCC) would fund 53 percent of the estimated $148.7 million project and Groveport Madison would fund 47 percent. The operating levy portion of the combined ballot issue will not raise taxes but, according to Groveport Madison Treasurer John Walsh, the bond issue, if the combined ballot issue is approved, would result in the estimated increased annual property tax for the owners of the following valued homes: $100,000 market value: $164.96; $125,000 market value: $206.20; $150,000 market value: $247.44; $175,000 market value: $288.68; and $200,000 market value: $329.92. 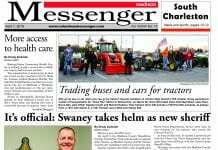 District officials said the bond issue is needed to: replace aging schools; ease student overcrowding; eliminate 22 modular classrooms in the district; enable there to be identical academic and other programs in each school; result in less acreage to be maintained; create more overall efficiency; and provide modern safety features. Why combine levy and bond issue? The Groveport Madison Board of Education made the decision to combine the levy and bond issue into one ballot issue. Groveport Madison Schools Superintendent Garilee Ogden said combining the issues is an attempt to simplify the matter for voters. 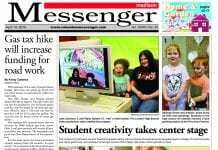 “Plus, there is a sense of urgency for both the levy and bond issue,” said Ogden. “We need operating money to continue our current operations and to help offset future deficits. According to information provided by Walsh, if the levy is not approved, the district would see deficits of $2.8 million in 2020 and $5.6 million in 2021. What cuts will be made if the levy/bond issue fails? Ogden said the district has not yet identified specific cuts that would be made if the levy/bond issue fails. “We hope to continue moving forward in a positive direction,” said Ogden, but she added that, if the levy fails, cuts would have to be identified. Ogden said if the levy/bond issue fails it will be up to the board of education to decide when and how the district would return to the ballot. However, the earliest would be in November as the deadline to appear on an August special election ballot will have passed before the May 7 election takes place. The district’s current total enrollment is 6,048 with 1,667 students in the high school. In 2013-14, the OFCC said there were 5,638 students in the district and projected that by 2023-24 there would be 5,539. The OFCC had projected there would be 1,370 students in the high school in 2018-19 and 1,494 by 2023-24. Because there are more students than projected by the OFCC, the district hopes to build a four room classroom addition (with OFCC approval) on the high school’s east wing using $2 million in savings left over from the high school construction project. Ogden said knowing the likelihood that there would have been more students in the high school than OFCC had projected, the district went ahead and installed the foundation piers and upgraded the HVAC systems in that part of the building to accommodate an addition. This was done during the initial construction of the high school. Ogden said the enrollment growth in the district is spurred by families’ attraction to the new high school and the district’s improved academics. Ogden said the OFCC’s original enrollment projections were based on a previous 10 year period when there was little growth in enrollment. She said if the levy/bond issue passes, a new enrollment projection study will be done and the OFCC can base figures on the new trends. Ogden said Groveport Madison does not have open enrollment. “We do a residency check on every student who enrolls and we ask for things like copies of a lease signed by a landlord, a mortgage, or utility bills,” said Ogden. District officials said that, in 2012, the OFCC recommended the district replace all of its remaining older schools because the $78 million cost to renovate them would exceed the cost of building new. Ogden said maintenance and repairs of the district’s buildings have been ongoing. She said so far this year 1,380 maintenance issues (for example, problems with toilets or broken windows) have all been completed with a turnaround time of less than two days. “Last summer, we had $700,000 in immediate repair needs but we could only afford to perform $220,000 worth of this work based on how much money was available in our permanent improvement fund,” said Ogden. “But anything that is a safety issue is addressed immediately. For example, a basement foundation wall recently collapsed at Groveport Elementary, but it was immediately fixed over a weekend. She said Groveport Elementary and Middle School Central need $5 million in roof replacement. 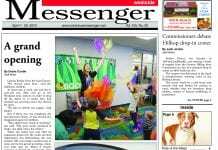 Ogden said the district could use two existing sites for potential new schools – the Glendening Elementary/Middle School South site and the Sedalia Elementary/Middle School North site. Two more sites would need to be found. The district entered into an agreement to purchase acreage along Noe-Bixby Road that could become a new school site if soil and flood plain studies justify it and if the board of education decides to finalize the purchase agreement. Ogden said the hope is to place the new elementary schools close to neighborhoods and find a centralized location for the new middle school. According to district officials, two-thirds of the district’s students reside north of U.S. Route 33 and one third reside south of that highway. “We’re trying to be intentional about what properties we use in relation to where our children live and the community’s needs,” said Ogden. What happens to old school sites? Warner said there is a state process for handling public lands. If the levy/bond issue passes and the old school sites are considered unusable to the district, the school properties must be appraised and then be first offered to a community or charter school. If there are no takers, the properties could go to public auction or they could be inter-governmentally transferred to another government entity for a public purpose. “We will not leave abandoned buildings or any unsafe environments,” said Ogden. Warner said, once the buildings are demolished and the land converted to green space, it’s the district’s responsibility to maintain them until the properties go to another owner. Ogden said a detailed analysis of future bus transportation costs has not been made yet, but she believes busing efficiency would improve with the new schools by shortening travel distances when school attendance boundaries are redefined and by not having to bus all the gifted students to one faraway school as is done now. 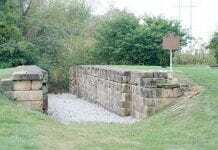 Both Groveport Elementary and Middle School Central are on the National Register of Historic Places. The possible departure of two schools located in downtown Groveport could mean fewer people coming to the city’s core daily, which could have an adverse economic impact on local businesses. She noted there would still be schools in the Groveport city limits because the Glendening/Middle School South site and the new high school are within the city’s borders.